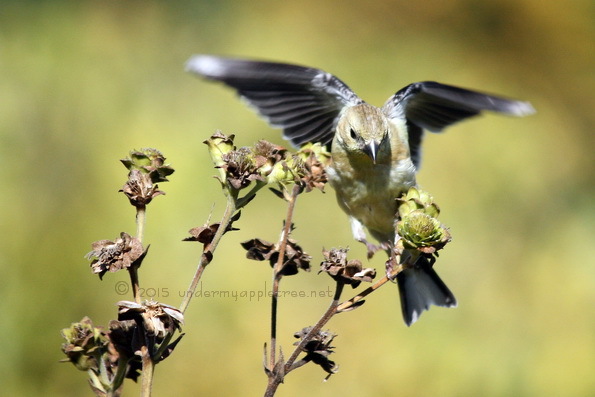 Almost wordless: There were a lot of acrobatic little Goldfinches busy harvesting seeds on the prairie plants last week. Sometimes I get lucky! 🙂 These little guys were so busy eating they were ignoring me.